Perfectly sized for a few favorite blooms, this thick handcrafted Polish crystal vase is narrow enough to adorn a shallow ledge or corner. 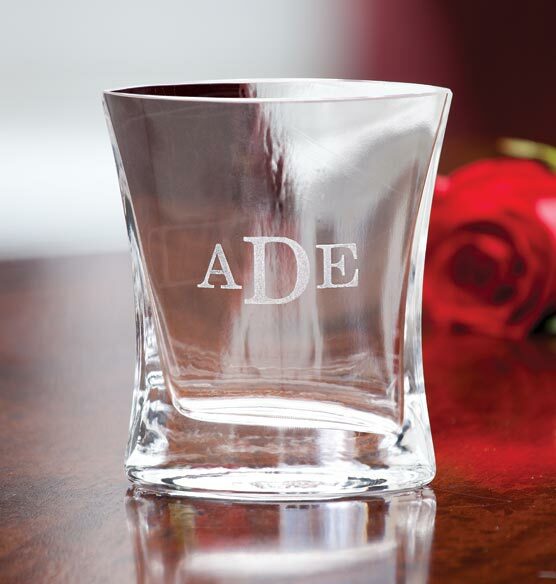 Personalize with a monogram to create a thoughtful, unique gift. For personalization, do the "first, middle, last" initials requested represent my name or how they will appear on the monogram? BEST ANSWER: Thank you for your question. Enter each letter how you would like it positioned. We hope this information will be of help to you.